Make Coconut Oil Easily from Copra with Small Oil Pressing Line Today! The small unit coconut oil pressing line is mechanically driven. The whole line connects each oil press equipment together to create a semi-continuous production line that can extract coconut oil from copra for greater efficiency. KMEC provide customized oil production unit for different kinds of vegetable seeds and nuts. From 1tpd to 20tpd or even larger daily production capacity, KMEC can always satisfy your oil making needs! Little investment, high profit, easy to return! Nowadays, the process of coconut oil pressing is done by pressing copra to produce coconut oil (70%); the by-product is known as copra oil cake or copra oil meal (30%). The main process includes copra cleaning, cooking, copra pressing and filtering. If you are using an integrated oil press then you do not need the filter press. 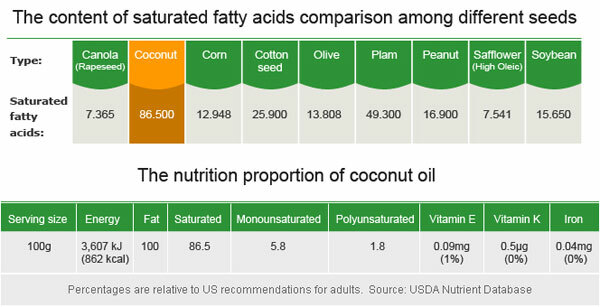 Coconut oil is commonly applied in cooking, especially for frying and is a common flavor in many South Asian areas. It was represented in a New York Times article as having a haunting, nutty,flavor that also has a feel of sweetness. Copra oil meal is used as forage for horses and cattle. Its high oil levels and protein are fattening for livestock. The protein in copra oil meal has been heat treated and provides a source of high quality protein for cattle, sheep and deer, because it does not break down in the rumen. High quality copra oil meal contains <12% non structural carbohydrate (NSC) which makes this product well suited for feeding to all horses that are inclined to ulcers, insulin resistance, colic, tying up, and acidosis.